​Lawns don't cut themselves; they need constant maintenance and care to grow healthy and strong. Routine mowing, regular watering and occasional fertilizing can transform dull, lifeless grass into a green, vibrant lawn. The constant maintenance can feel like a chore to some homeowners who may not have the time for yard work. DFW Lawn Company offers professional lawn care in Burleson and the surrounding areas, keeping your grass and landscape looking pristine all year-round without any effort or work on your part. Buying these tools would cost quite a lot for the average homeowner. In addition, they'd need to be maintained regularly. When you hire DFW to do the job, you get professional results without the need to buy any equipment. You won't have to spend money on tools that you'll never use or make space in the garage to store them. Our team shows up on time with the tools and the knowledge to get the job done right and to make your lawn stand out in your neighborhood. If you want a great lawn or a landscape that's made to impress, we can help with that. Although a freshly mowed lawn looks nice, it would look even better with proper trimming around your sidewalks, trees, hedges and porches. Placing mulch around the trees enhances their appearance and creates focal points in your yard while perfectly trimmed hedges and shrubs make any landscape look more appealing. Some yards suffer from lack of shade or overly abundant sunshine, so it's important to treat the grass and the landscape differently based on those factors. Overwatering certain areas can drown a plant's roots and also cause everything from runoff and pest infestations to fungus and weed growth. Grass and plants sometimes won't grow in certain areas, so you might feel tempted to use fertilizer and other plant-growth products. Using these products without knowing exactly what you're doing can cause more harm than good. If you're worried about harming your grass and plants with over watering or even over fertilization, getting help from the pros is a good idea. 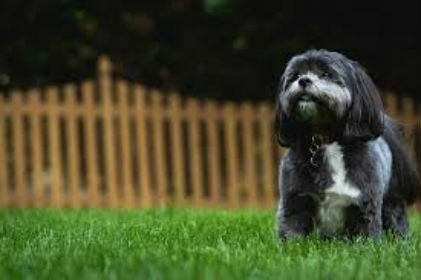 We always inspect a lawn before taking action since not every lawn requires the exact same treatment. We'll identify problem areas, inspect for weeds and pests and report to you with our findings. Afterward, we'll create a custom plan that's tailored to your landscape. You won't have to deal with chemical products, fertilizers or hard-to-use tools. We'll take care of everything and offer routine maintenance services to keep your grass and yard looking its best. You'll find Bermuda and St. Augustine throughout Texas; however, tall fescue is quite common in the northern areas, including Dallas and Fort Worth. Tall fescue thrives in this part of Texas but needs routine irrigation to survive the intense heat and droughts. If you're wondering why your grass has a dull green or an almost yellow appearance, it's possible that you have some thirsty tall fescue. We identify the type of grass before applying any water or fertilizer. Correctly identifying the grass helps us to use the right watering and fertilizing techniques, thus making it easier to treat your grass for drought, heat or insect damage. We also provide a similar tree service to keep your trees healthy and looking trimmed throughout the year. Looking for a Lawn Company in Fort Worth? You're not always expected to know everything about your yard. When you buy a home, you may not be able to tell whether your lawn is covered in tall fescue or Bermuda grass. If you're new to the area, you're not familiar with the climate, so you can't make the right judgment call when it's time to water your lawn. Maybe your landscape has a few bald spots that you'd like to cover, or perhaps the trees and shrubs need a good trimming to keep up with the Joneses. If you've searched for "landscaping in Fort Worth" or "tree trimming near me," you've followed the right link. We specialize in residential and commercial landscaping services, providing everything from mowing and trimming to debris and leaf cleanup. We go above and beyond traditional landscaping companies that only focus on mowing and weed trimming. Our team does it all and completes every task quickly without sacrificing quality. We believe in treating your lawn to a professional manicure and giving it our full attention. We have served the surrounding Crowley area for years and continue to work hard while securing lasting relationships with our customers. Our experienced team goes the extra mile to get things done right whether it's routine dog waste removal or bi-weekly grass mowing. If your lawn needs professional attention, don't break your back or turn to just any landscaping company. Let DFW take care of your lawn and create an immaculate landscape for your home or business. DFW is the premier Crowley lawn care company and serves the entire Fort Worth area. If you've searched for a "lawn service near me" and found us, you've come to the right place. Whether you're interested in a quality lawn mowing service or a complete landscaping overhaul, check out some of our available services and why choosing us is right for you. 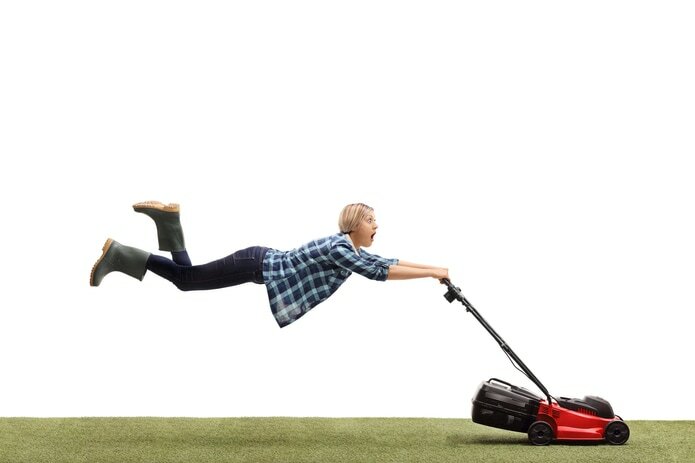 Our lawn service includes standard mowing and trimming using the best tools for the job. We cut the grass to an appropriate length and minimize grass clippings when necessary. Grass clippings also have their place in a yard as they contain more than 80 percent water and break down quickly, providing added nutrients to the soil. We can also use the clippings as mulch in other areas such as flower beds. We follow our mowing service up with trimming to make the edges look crisp and clean. Trimming the shrubs completes the look and ties everything together. However, it's possible to damage your shrubs if you don't know what you're doing. 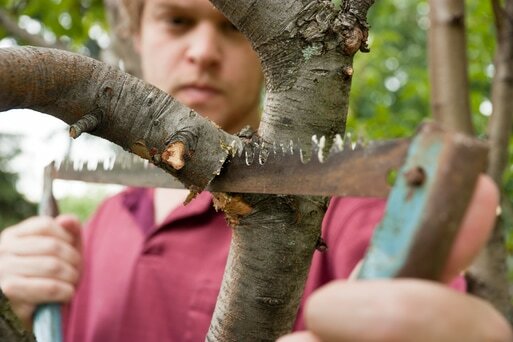 If you trim too much or too late in the season, it can risk the overall health of your shrubs. We understand how and when to trim shrubs and can identify diseased or dying parts. After a good trimming, your shrubs will look healthier and grow even better over time. When you type "lawn care service near me" in your search engine, you'll get more for your money if you choose us. We not only specialize in lawn mowing but also in tree stump removal and trimming. If you have trees blocking your view or need a tree trimmed away from your home, we can take care of it. When trees grow too close to a house, the branches can damage the siding, the shingles and the gutters. Failing to act quickly enough can cost you hundreds or thousands in repairs. If a storm has downed a tree in your yard, we'll arrive quickly and remove it from your property. We remove trees of all sizes and never leave a mess behind. No matter if it's twig bundles, logs or a full-sized tree, don't handle the removal yourself. Let us do the heavy lifting and take care of the work for you. Dogs make great companions, and many homeowners in our area have a dog that acts as one of the family. We know that many people do an online search for "dog poop cleanup near me" all the time in Crowley and the surrounding cities. If you've found us by searching for the same topic, you couldn't have found a better company. You could say that we're in the poop scoop business, giving you a waste-free yard for your family to enjoy. Producing a beautiful lawn takes more than mowing, watering and fertilizing. It's also about picking up debris and pet waste. Although waste degrades naturally over time, it creates an unsightly mess in your yard. It also causes a foul odor and can drive your neighbors crazy. Pet waste often creates yellow spots in the grass and ruins the look of your landscape. Our dog poop yard cleaning services include removing any and all waste from your property and disposing of it in an efficient manner. Whether it's from your dogs or other animals in your neighborhood, we'll arrive with the proper equipment and leave you with a poop-free yard in no time. Falling leaves announce the arrival of autumn, but they don't do anything for your yard. In fact, leaf piles cover up the grass and rob it of sunlight, nutrients and water. Over time, the leaves form a thick mat on the ground and become even harder to remove. They will eventually kill the grass beneath and form the ideal environment for insects and fungi. Failure to clean up the leaves will do more than ruin your lawn's aesthetics; it'll also lead to unwanted pest infestations on your property. 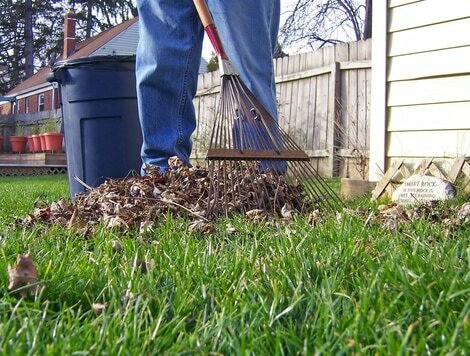 Our team takes leaf removal seriously and understands how detrimental leaf piles are to a lawn. However, it's possible to use the leaves to your advantage. If you have a garden, turning the leaves into mulch can help your plants grow stronger and more beautiful. Some homeowners rake their leaves up to the curb in hopes that the city crew will come by and pick them up. Though the city does remove leaf piles from some communities, it's not always within a reasonable amount of time. We'll arrive soon after you contact us and have those stubborn leaves off your property for good. Violent storms occur every so often in our area, leaving behind fallen trees, branches and other debris. When this happens, a quick search online for "storm debris cleanup near me" leads you to us. We take pride in our many lawn services and want to help our customers in every way. Strong winds can send the lightest and the heaviest structures and objects flying through a neighborhood. If a storm has left a mess in your yard, the DFW team is ready to clean it up. You don't have to break your back or spend your weekends on lawn maintenance. Contact the professionals at DFW for a free and instant quote. We provide Joshua lawn care services for residents and businesses alike. We also serve the Crowley, Burleson and Fort Worth areas, giving residents and business owners top-quality lawn services and satisfactory results every time.